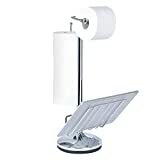 By the way, if all you want to do is shop for TP holders, I get that. Amazon awaits! Now, if you want to be entertained as you shop (or simply browse), stick with Regi B. I am here to please. Toilet paper holders are there for us like nothing else. 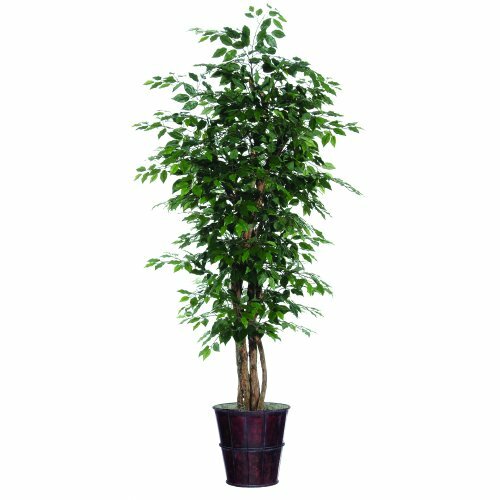 We do not clean ourselves with the leaves of a tree (usually), so a ficus in the bathroom is not nearly the necessity of a toilet paper holder. 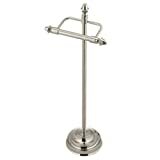 There are all kinds of toilet paper holders that stand by themselves. Some look rustic -- that is what we call the basic, wooden ones. Others are built for speed -- not really, but there are those made with home decor in mind. These can be made of brushed nickel, or clad in chrome. Others come in oil-rubbed bronze, or even brass. What is your style? 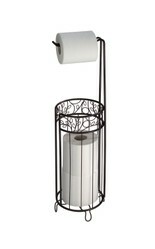 Whatever it is, if you need or want a free-standing toilet paper holder, one can be acquired in the fashion you desire. In the ongoing human quest to stretch the dollar -- is that a thing people do? Dollar stretching? Are there pictures of this? But dollars are paper! -- we all seek advice on wringing the most value out of our money. With that in mind, I really have to say, the most important buying consideration should always be value. If I can get something that will last by paying 20-percent more, I will often do that. Cheap can be both good and bad. Still, if you are inclined to consider price most heavily, I understand. 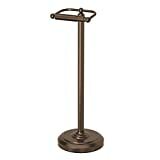 Here is a link for you to free-standing TP holders that cost under $10 on Amazon. 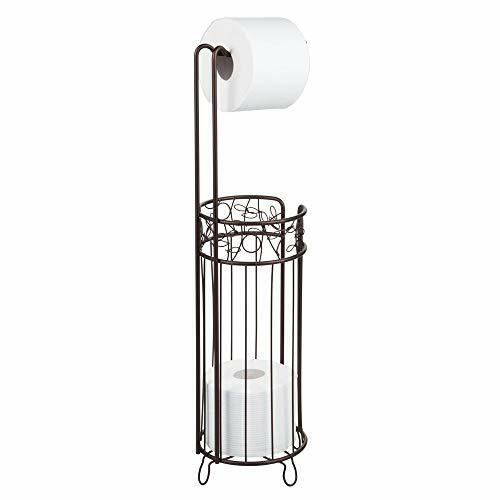 Also, if function is the sole goal, scope out your local Goodwill, where you may sometimes find a (likely used) standing toilet paper roll-y thing, as well. Tired of hearing your toilet seat dropped and slamming onto the bowl? YOu can stop that now with a soft close toilet seat. Black or white toilet seats are boring. Buy a cool novelty toilet seat, not needed for squat toilets, of course.